With winter coming on quickly, a couple of thoughts about how putting a rug on your horse can affect his social life! 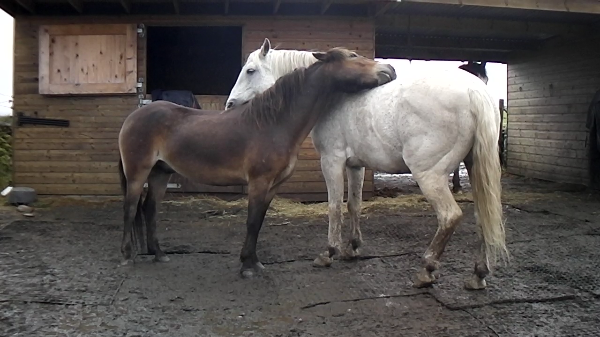 Firstly, mutual grooming is one of the strongest ‘bonding’ activities between horses; relaxing, enjoyable and one of the main ways in which horses strengthen their relationships with each other. With rugs on, they can’t effectively do this. Secondly, they can’t nip each other through their rugs! This may sound like a good thing, but imagine the following common scenario. Poppy and Buttons are out in the field sharing hay. They are relatively new to each other. Poppy gives Buttons a nip to tell him to move over, but because of his rug he doesn’t ‘hear’ her. She may give up at this point, and accept that Buttons isn’t moving, but it is equally likely that she will make her point more clearly and try giving him a heafty kick instead! Basically, horses communicate a lot through touch, it is very important to them, so rugs interfere with your horse’s normal social interactions. 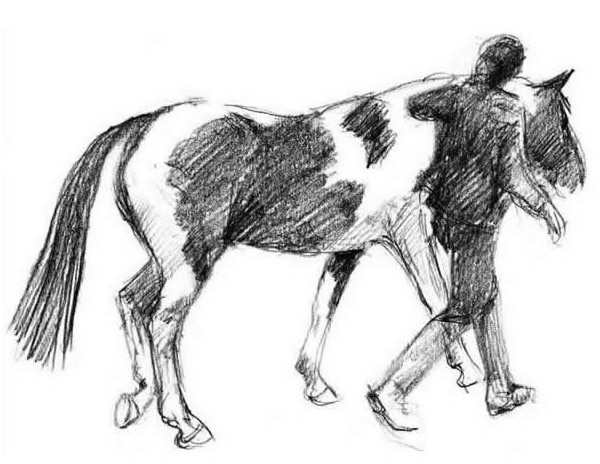 I would always advise that horses meeting each other for the first time are not rugged, so that they can definitely communicate clearly, and it’s a factor to consider whenever you are turning your horse out with company. To Rug or not to Rug? Train in Haste, Repent at Leisure! Felicity has over 15 years experience, studying a wide range of traditional and 'alternative' approaches to dealing with behavioural issues.